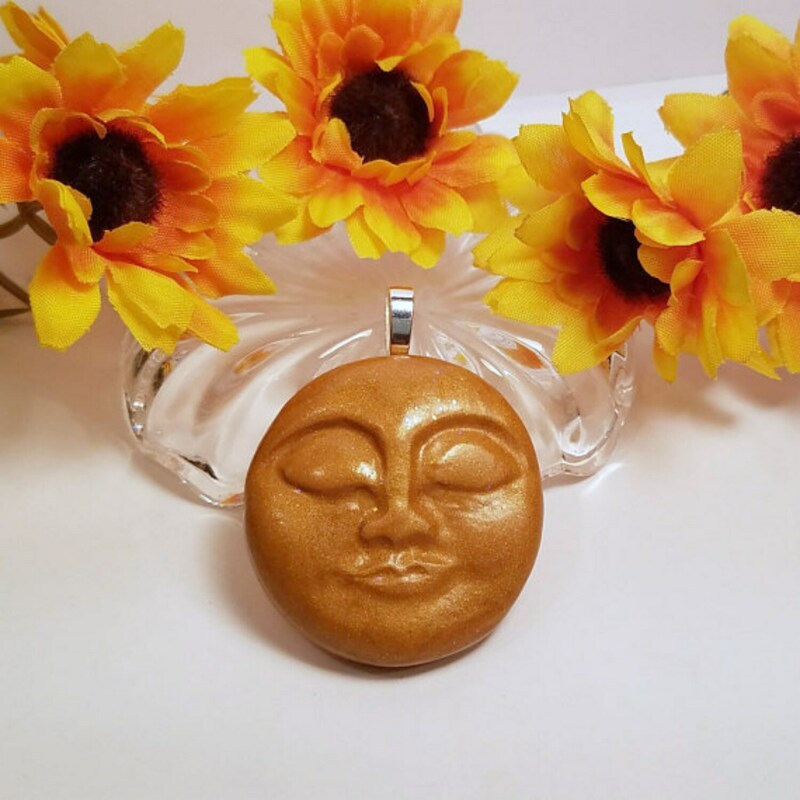 Golden Moon Face Pendant is fast asleep, dreaming sweet dreams with a mysterious smile. Handmade of gold polymer clay and sealed with acrylic gloss with tiny sparkles that look magical twinkling in the light. Lightweight, measures about 1 1/2" wide x 2" tall including a large silver-plated aanraku bail for a chain, cord or ribbon. A 5 star review from someone who purchased this design: "Beautiful and radiant, nice mystical pendant!"